What sets Simon G apart as a designer? Having immigrated to the United States as a young man, Simon Ghanimian, the founder, chief designer, and namesake for the brand, brought with him a passion for quality engineering and Old-World devotion to craftsmanship. Today, Simon G marries that Old-World devotion to the exciting creative spirit of California. Masterwork Simon G wedding bands are a cornerstone of the bridal jewelry selection we offer here at Trice Jewelers, and we know that we can pair you with the right band to match your one-of-a-kind sensibilities. 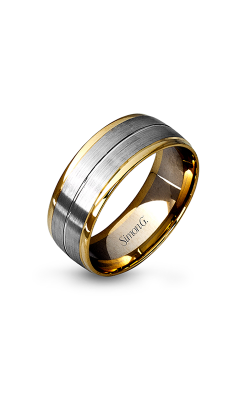 The Passion collection of Simon G wedding bands is named for the way that each band is crafted to fit perfectly around a matching engagement ring. When we talk about “passion,” is there any better example than a love that lasts forever? Alternatively, if you prefer a wedding band that contains the same 18k white gold and VS2-clarity diamonds as the Passion collection, but is a demure, petite accentuation for an engagement ring, turn to the Delicate collection, whose bands are narrower, more delicate, and speak to a bride who wants her modesty reflected in her bridal jewelry. We’re very fond of the Nocturnal Sophistication collection from Simon G due to the pave setting that dominates the wedding bands from this line. Each wedding band from Nocturnal Sophistication is so densely packed with G-colored white diamonds that even the slightest flicker of light refracts endlessly as pure fire on a bride’s finger. And if you’re a bride-to-be who prefers the timeless elegance of vintage jewelry, don’t hesitate to look over the Vintage Explorer collection: scrollwork, Art Nouveau vines, and organic curves interlaced among trellises of milgrain-beaded 18k white gold all typify this marvelous collection of Simon G wedding bands. 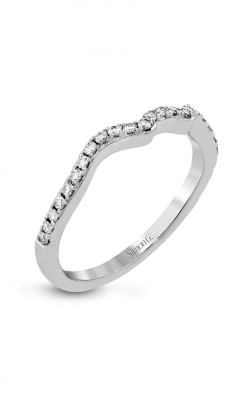 Why Shop for Simon G Wedding Bands at Trice Jewelers? Having served the men and women of Centennial, Colorado for over 50 years, Trice Jewelers is Arapahoe County’s leading expert on bridal jewelry. Our commitment to quality leads us to put Simon G. front-and-center, but don’t forget that we also carry bridal jewelry from other genius ateliers in the jewelry industry. Additionally, we are a leading retailer of fashion jewelry and Swiss-quality timepieces, and if you’re in need of services, we have a cutting-edge workshop that allows for your jewelry to be repaired quickly and in-house. Contact us or visit our showroom today to find out what Trice Jewelers can do for you!